Suzuki Ignis 1.2 Dualjet SZ3 5dr 2019 Review | What Car? What Car? will save you at least £1,168, but our approved dealers could save you even more. It’s probably best to spend a little more on the upper trims, but entry-level SZ3 still comes with front electric windows, a DAB radio, Bluetooth, four speakers and air conditioning. It does miss out on some important bits of kit, though. 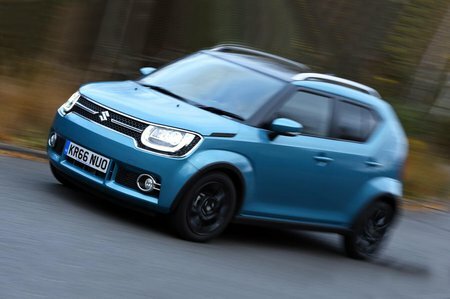 The engine's 89bhp sounds modest, but the Ignis doesn't struggle. The usual rules apply; with only a maximum of 88lb ft to call upon at 4400rpm, quick sprints require patience. But this is an engine that has no issue with being pushed.